Ian Schraeger (hotelier and original owner of Studio 54) redesigned a hotel on South Beach a few years ago and turned it into the swanky Shore Club, which sits 2 blocks from his famous Delano on Collins Avenue. The hotel is a favorite among celebrities and we once lived across the street, before we realized Downtown Miami was the chic (and safest) place to reside. South Beach is like Penn Station in the 1980’s and the best hotels (Mandarin Oriental, Four Seasons) have turned Downtown Miami into the place to be. 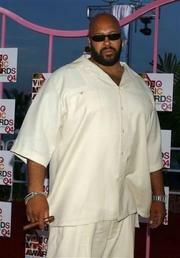 So, it was no surprise that Death Row Records founder/former convict, Suge Knight, was shot at the Shore Club last night. Knight was attending an MTV Video Music Awards party at the hotel, hosted by Kanye West, when he was shot. Partygoers included Jessica Alba, Paris Hilton, The Game and The Black-Eyed Peas. When the crowd scattered, we bet Fergie peed her pants.